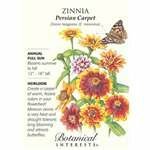 Zinnia Persian carpet growing shrub‎ or subshrub of the genus Zinnia also known as Persian Zinnia, Zinnia persian carpet perennial evergreen or annual used as ornamental cut flower attract pollinator’s plant, can grow in subtropics, mediterranean, temperate or tropics climate and growing in hardiness zone 3+. 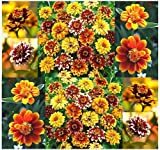 Flower color can be: red, pink, orange, purple, white or yellow can be more than one color flowers are double flower. 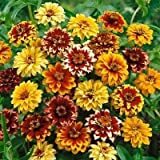 Persian Carpet Zinnia! 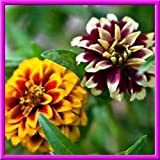 25 Seeds SMALL BOLD BLOOMS OF MANY COLORS! Combined S/H!